It has been almost a year since 67- year old Patsy Harper made the call that would help her keep her single-story Tennessee home nestled in a woodsy area of Ashland City. It was a call that would prove to be a big step to helping her financially. For the longest time, she had seen advertisements for the reverse mortgage loan product but never understood what it really was. She knew she could remain living in her home while keeping ownership, and also receive some of her home’s equity in cash in exchange for granting the lender a mortgage. Beyond that, she didn’t know much else about reverse mortgages. Reverse mortgage loan borrowers have many different reasons for getting the loan. For those who use it to pay off an existing mortgage, it frees up the income that used to be spent on paying these bills, so it can be used for everyday expenses. 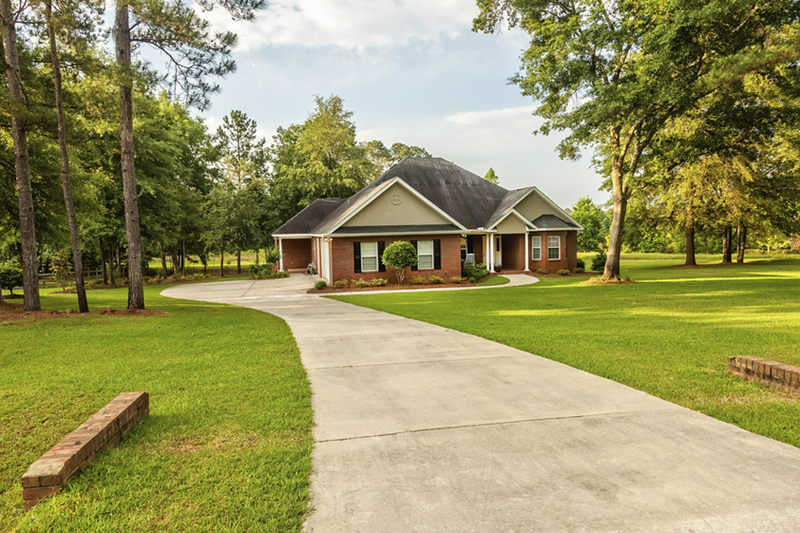 For borrowers such as Patsy, who end up using most of their monthly income to pay for existing mortgages and other bills, reverse mortgages prove especially helpful. Reverse mortgage borrowers are also not required to pay a monthly mortgage payment. As long as they continue to pay the property taxes and homeowner’s insurance on the home, keep it in good condition, and comply with the other loan terms, then loan repayment continues to be deferred until the borrower leaves the home. Removing this recurring expense may be enough to significantly improve a senior’s lifestyle. For Patsy, a reverse mortgage loan was a godsend. With only social security income to pay for debts and taxes and the imminent threat of losing her home, she started paying closer attention to the commercial on television. The call earned Patsy a Free Information Kit through the mail, and a chance to learn even more through her newly introduced reverse mortgage professional, Tom Hemenway. Many borrowers are surprised to find just how helpful their assigned reverse mortgage professional can be. As experts in the industry, they can answer any question a borrower may ask, and lead them through the loan process. Reverse mortgage borrowers also must go through reverse mortgage counseling before applying for the loan. These two sources of information become powerful tools for borrowers to make informed decisions. For Patsy, this help and guidance was priceless. With reverse mortgages, borrowers are able to choose the method in which they receive their funds. Disbursement options include a lump sum, monthly payments, line of credit, or any combination of the three. Lenders first use reverse mortgage loan proceeds to pay off existing mortgages and liens on the property, after which borrowers may use the rest of the funds in almost any way they wish. “I chose to get a lump sum,” Patsy shares. With her reverse mortgage, Patsy not only paid off her existing mortgage, but all her bills as well. A portion of her funds also went to some needed maintenance for her home. All this was covered by her reverse mortgage. Some repairs, like a leaking roof, are mandatory, and can sometimes be financed via the reverse mortgage loan. Other home improvements, like upgrades to a bathroom, may be paid for with the money received. For future borrowers, Patsy doesn’t have advice, so to speak, as much as she has her experience to share.